The idea that “Kids will be kids” when it comes to risky behavior is unacceptable. 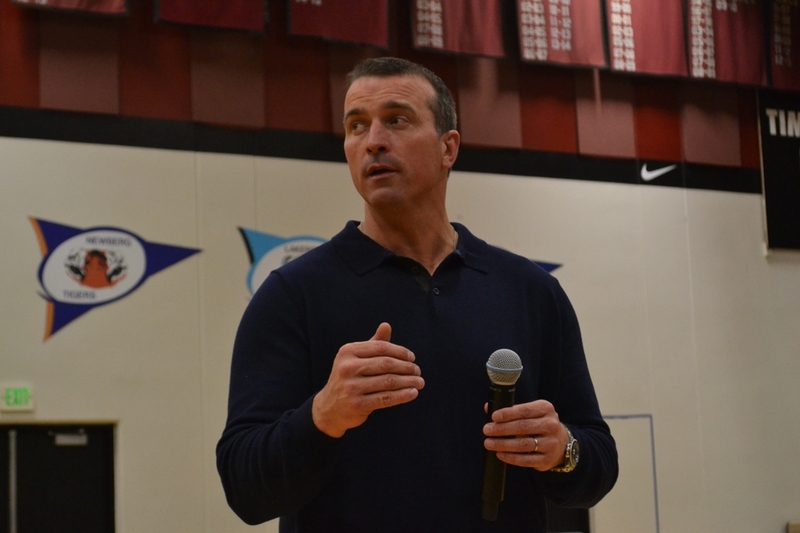 “Drugs and alcohol should have nothing to do with being a kid,” said former NBA player Chris Herren in front of a packed gym of students and community members at Tualatin High School, a community of 27,000 located 14 miles south of Portland. In her introduction of Chris, Regence’s Chief Pharmacy Officer Kerry Bendel, emphasized what hidden addiction can be and how long it can take to see the effects. She said this event was meant to start a conversation about addiction that families can have around the kitchen table. Regence was the presenting sponsor of the event as part of our ongoing effort to help decrease opioid misuse while supporting appropriate use. Regence understands the urgency of the opioid crisis in our communities and we are partnering with local organizations to create awareness about the epidemic. The event at Tualatin High School was organized by local anti-substance abuse coalitions Tualatin Together and Tigard Turns the Tide. 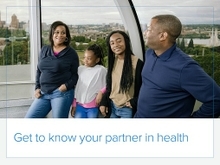 Participants interacted with a bustling resource fair, including booths highlighting OHSU’s poison control hotline, current research and information on vaping products and opioids, and local police departments connecting with the community to show their support. In addition to the community event, Chris spoke to two student assemblies at Tigard and Tualatin High Schools. Some students ended up in tears, asking questions and sharing their personal battles at school or at home. All three events ended with a standing ovation. Learn more about Regence’s efforts to address the opioid crisis in our communities.